Digital transformation has revamped the existence of each and every industry in an unimaginable manner. Technological disruption has intensified completion, changed business models and eliminated geographical barriers. The retail industry has witnessed phenomenal changes due to the technology evolution. The rapid rise of e-commerce giants such as Amazon and Alibaba as well as the paradigm shift in consumer preferences has compelled traditional retailers to rethink their strategies and explore new forms of consumer engagement. The revolution took off with the advent of the iPhone app development and smart phones. Consumers are comfortable shopping online, as well as on mobile devices, and according to Business Insider, m-commerce will reach $284 billion, or 45% of the total U.S. e-commerce market, by 2020. Retailers are now using immersive experiences often blurring boundaries between online and offline worlds. The stakes are high and it is all about convenience, personalization and flexibility. There is no denying that the mandate is clear either change or be left out in the highly competitive world. A major transition for established brick-and-mortar retailers is eminent. The transition has resulted in digital transformation at every level of business right from warehouse, inventory, logistics to supply chain management. Retail software solutions are available for each and every function. Retail Apocalypse: Is it real? This year alone, major global retailers such as Bon-Ton department stores and Toys R Us permanently closed, while J.C. Penney, Sears and Macy’s announced major store closures. The growing e-commerce industry is making it challenging for brick-and-mortar stores to stay relevant. Store closures and job losses in retail continue to dominate the news. Several reasons have contributed to the closure of retail stores such as rising costs, technological disruption and changing consumer behavior. The UK high street also continues to undergo considerable structural change. There are numerous examples of innovation happening within the store and retailers are now investing in customer experience to provide a better, omnichannel customer experience. Similarly statistics from the UK shows that more shops were opened than were closed in the first quarter of 2017. There is no doubt that technology will empower the growth of brick and mortar retail. Mobile applications and cloud-based solutions will enable retailers to set up stores with relatively less investment. 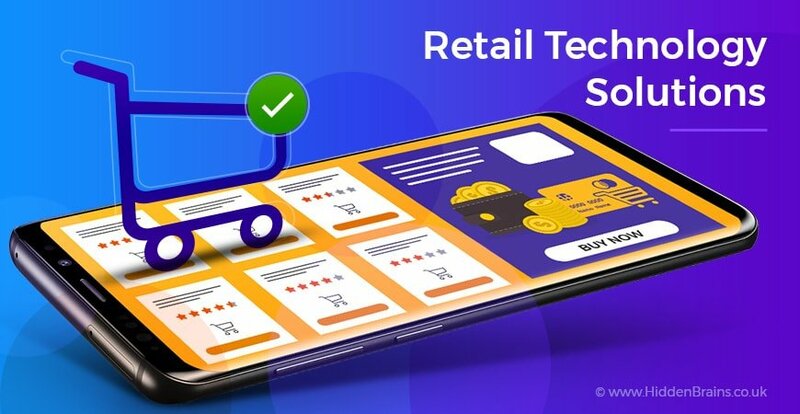 From facial recognition, to biometric checkout, to smart sensors tracking customer movements in the store—technology is redefining retail software solutions and how retailer function with optimum efficiency. With over 11 billion connected products like home speakers, TVs, entertainment systems and cars to the Internet, retailers can collect voluminous data and actionable insights about customers’ product usage and preferences. This will allow to targeted marketing to customers throughout every phase of the buyer journey. It’s clear that The Internet of Things makes shopping faster, cheaper, and hassle free. And since Gartner expects consumers to possess over twice as many smart devices in 2020, it is amply clear that the technology could move beyond hype in 2019. Artificial intelligence is all set to completely change the outlook of the retail industry. The technology that is most likely to reshape the retail landscape is artificial intelligence (AI), driven by data from customers themselves. Analysis of “heat maps” provides details of movements of customers in a particular section and which items they look. This information can be captured by LIDAR sensors. Similarly, virtual assistants and robots placed inside the store help make recommendation to customers that add value for the customers. AI like Siri, Cortana and Alexa are completely revamping consumers’ daily shopping experience. From manufacturing, distribution to delivery, AI will play a crucial role in the retail world. Artificial intelligence is all poised to change the way payment is done. Chatbots deployed by payment companies are now providing an innovative way to check balances and make payments. Augmented Reality is also a potent tool that’s being increasingly used by stores. Augmented reality (AR) is expected to get even more sophisticated in 2019 with Apple and Google moving AR into iOS and Android operating system. The adoption and implementation of AR technology will certainly witness increase. As AR technology matures, more retailers will explore ways to use it. For instance, retailers have produced demos of AR in the changing room to great effect. One of the most successful case studies of AR app development is IKEA. The app used Apple’s ARKit to preview how different IKEA products would look in actual environment. It was simple, just scan scan the floor using iPhone and select the product that needed to be placed. Big data analytics continues to mature. It is helping in strategic decision making. Progressive retailers are exploring new ways to leverage big data analytics to enhance different aspects of the business right from sales, marketing, and customer service to retail operations. Retailers have adequate tools and data sources. It is just the matter to using big data tools and technologies in the best possible manner. Big data analytics can help retailers forecast demand, customize shopper experience and streamline supply chain. When used effectively, big data services and technologies can create a 360-degree view of customer experience across digital and in-store channels. Big data will only work if you are willing to make drastic and significant changes to your business. As retailers struggle to do more with less in a margin-squeezed environment, the potential for Blockchain to reduce operating costs is one of its principal attractions. Blockchain can reinvent key business functions, bringing trust and security in retail functions spanning across supply chain management, accounting and audit, and related account management processes. Smartphone “wallet” apps will emerge as a new way to pay– a trend that’s being driven by “lifestyle” apps such as Alipay and WeChat. Biometric payments (fingerprint or iris scans) will be used to authenticate payments, replacing cash in the near future. A report predicts a trillion biometric payments will be made annually by 2022. Voice-activated payments driven by digital assistants such as Amazon’s Alexa will become more commonplace, with finance companies already pursuing the technology. Cryptocurrencies and Blockchain might not replace conventional payment systems any time soon, but Blockchain’s ability to authenticate transactions is being explored by several banks. Successful retailers are continuously creating unparalleled, immersive customer-centric experiences in store, enabling brick and mortar to compete with the convenience and variety of online shopping. Winning means taking the strengths of each and creating the best of both worlds. If you are in search of retail IT solutions for your business, request for a free quote now! This is interesting really, You’re an extremely skilled blogger. I have joined your feed and appearance forward to seeking more of your wonderful post. Also, I’ve shared your website in my internet sites!